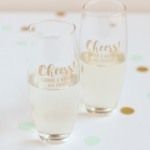 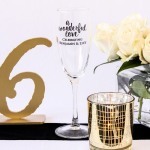 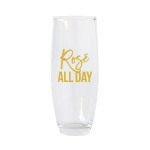 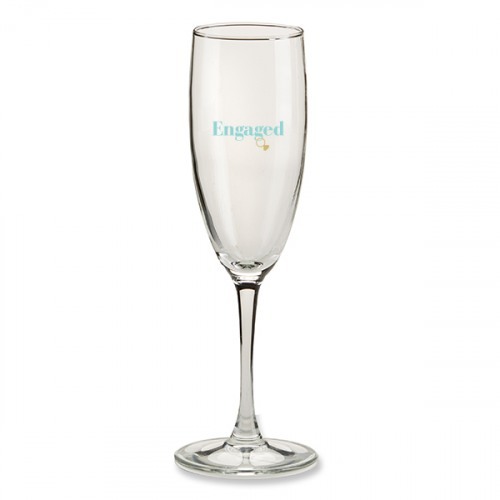 Celebrate the engagement with Swoozie's "Engaged" in robin's egg blue with a gold diamond ring coming off the letter "g" on a stemless wine glass. 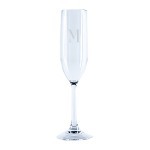 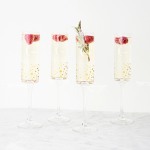 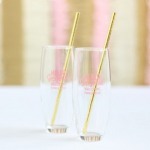 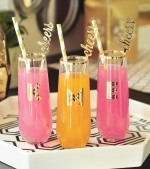 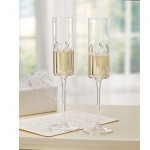 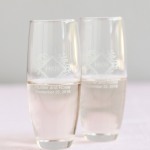 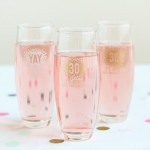 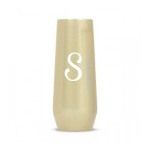 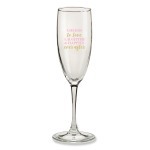 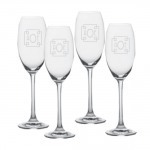 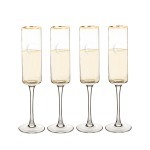 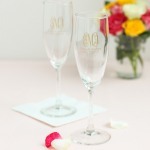 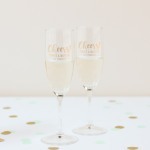 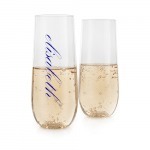 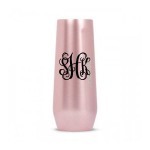 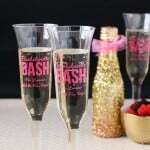 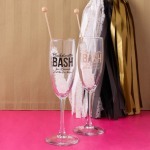 Use the flute for the engagement party, bridal showers, bachelorette parties and much more! 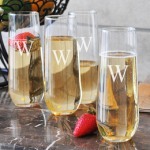 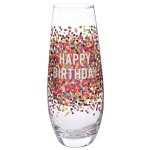 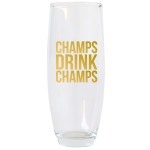 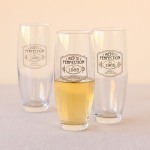 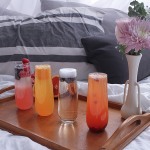 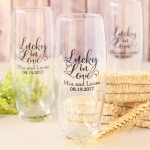 Add the matching cocktail napkins and bottle of champagne for a great gift!